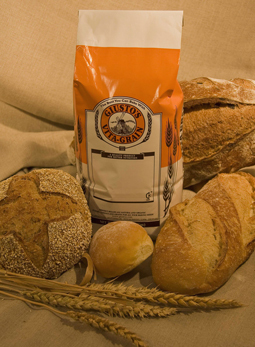 Giusto's Whole Wheat Bread - A recipe from Savor California, the online showcase for extraordinary gourmet foods and beverages from California. Soften the yeast in the water; add the honey. When the yeast mixture bubbles, add the oil, milk powder and salt. Add enough whole wheat flour to make a stiff dough. Turn the dough out onto a floured board and knead until smooth and elastic. Shape into 2 loaves; place in pans. Allow to double in bulk. Bake at 350 degrees for 50 minutes.